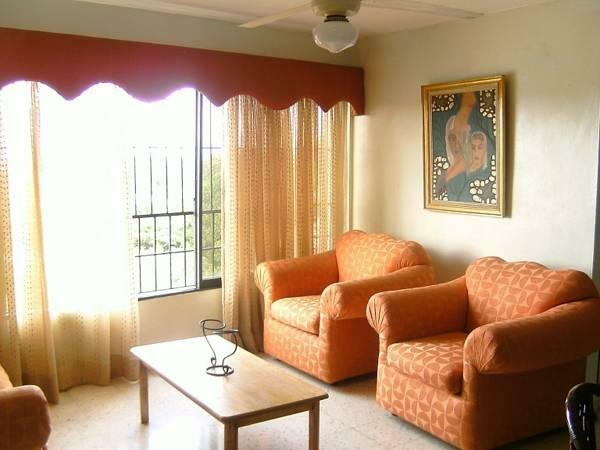 ﻿ Best Price on City Caribbean Hotel Boutique in Santo Domingo + Reviews! Just 2133 feet from Feria Metro Station, Aparthotel Residence City offers free parking and air-conditioned accommodations with free Wi-Fi and kitchen facilities. The seafront is a 3-minute drive away. Each studio and suite at the City Caribbean Hotel Boutique cable TV, a safe and a private bathroom. There is an kitchen area fully equipped that includes an oven and a fridge. City Caribbean Hotel Boutique has a bar and a seating area in the lobby. The 24-hour reception features a concierge and currency exchange service. Supermarkets can be found within a 3-minute walk, while restaurants, and bars are within a 5-minute drive. Santo Domingo’s colonial zone is a 10-minute drive away, while Las Americas International Airport is a 25-minute drive away.